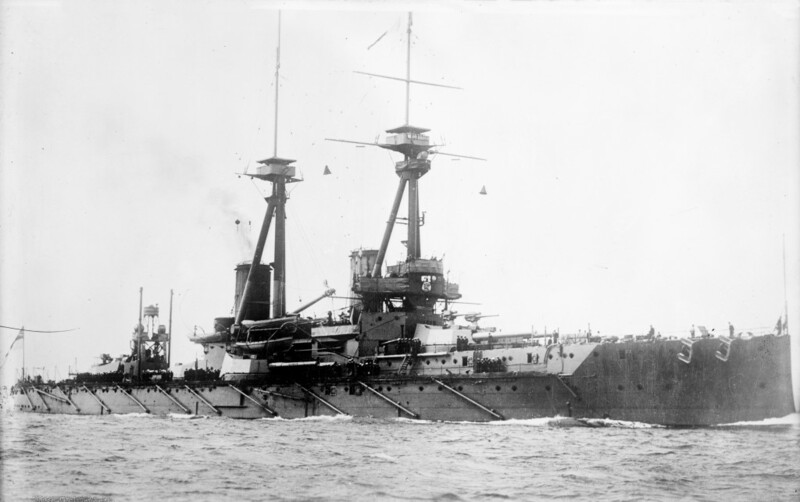 Similar external appearance to HMS Dreadnought but secondary armament and anti torpedo netting improved. Also had two Tripod masts (rather than Dreadnought&apos;s one). Fired 62 heavy rounds without a single hit. 18 Babcock water boilers dvidied into three groups. Used 4 Parsons single reduction steam turbines driving 4 shafts. Rated at 23,000 shp. Bot sister ships Temeraire and Superb were faster because of higher shp. Tarrant puts full sidplacement at 18,800.